With a huge aspirations to help everyone around world to break his daily life routine, Godayuse has been accepted out of thousands startups from all over the world and hundreds of registered startups from Egypt to exhibit during Web Summit 2015 in Ireland next November. Although Godayuse project still in development phase, we become one of 500 startup selected to join Web Summit 2015 Alpha program. We are proud to get this message from Josh Collins, Web Summit Startups Executive. Web Summit is a technology-industry conference held in Dublin, Ireland since 2010. Forbes describes the event as “the best technology conference on the planet” while CNN calls it “the hottest event in tech”. We are really excited to participate in this event and to share our project with the whole tech world. Our project, Godayuse is the world's first day-use portal specializing only in day-use activities, hangouts, leisure per day that does not include traveling or sleeping outside the home or spending only a few hours in a cinema, restaurant or shopping mall. If anyone wants to spend full day outside his regular daily life routine, if anyone planned to travel outside his country and want to know where to enjoy full day without tourism agencies support, Godayuse will be the best solution. Godayuse is a user-friendly portal currently in development phase and will be available this fall as a website, iOS and Android applications. Usually startups go to Web Summit after launching the service but we believe in our project and this is why we seek early support and we want to catch the opportunity to participate in one of the world’s biggest tech events to learn more and improve our startup. As a team of ambitious men we have a dream to receive the needed fund to not just start in one or two countries but to start with global reach, We are very excited and we have a great opportunity to lead that kind of local discovering portals around the world, the founder and his co-founder investing a lot of time, money and efforts to build solid platform with clear business and revenues growth plan; Shadi Kamal, the founder, 28 years old working as Digital Brand Development manager in British company called ”Awakening Records” he started his career in 2010 as Junior Developer and in less than 5 years he become Digital Business Development Manager creating online branding and expanding strategies. His dream is to move with Godayuse to be the first choice for anyone wants to have a local day out without much money and away from traveling hassle. 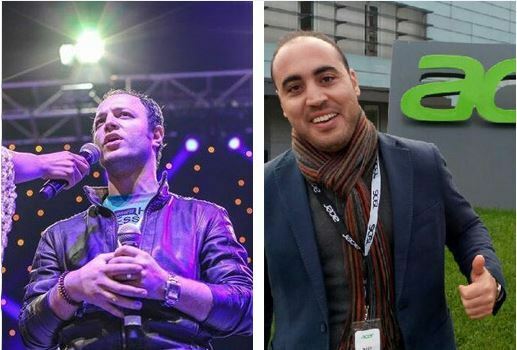 His co-founder Mohammad Shafik, 33 years old, working as Business Development Manager at “Acer”. Shafik worked as a Country Product Manager for ASUS just after hitting the thirty and he is really enjoying a very successful fast growing career path. Godayuse will be targeting everyone do not have time, money and gave up on regular routine places like cinemas and shopping malls and informing people of the nearest places with exact budget, activities and the service quality rate. We dream to cover the whole world very soon and to help all people find various places to chill out, whatever their budget is. We totally believe in our idea, this is why we are flying to Web Summit with a huge dream to receive the needed support we seek to expand our service and cover the whole world shortly.